The cabling for the Audient ASP8024-HE console had barely been finished at the brand new recording studio at BIMM Birmingham, when the Fire Tones came in to record their rendition of Do They Know It’s Christmas? a few weeks ago. No ordinary inauguration for the educational facility’s studio, this group of fire service personnel from around the UK were recording the well-known song in aid of The Fire Fighters Charity and the Band Aid Charity Trust, with their eyes firmly on the coveted UK Christmas no’1 chart position. Released on 29 November, the single was produced by BIMM Birmingham tutor Steve Osborne (U2, Happy Mondays, Massive Attack) and overseen by their expert vocal tutor Louise Warren (Ringo Starr, Beverly Knight, Little Mix). The song’s official video on YouTube was filmed at BIMM Birmingham, staying true to the original spirit of the 1984 Band Aid video, and allowing viewers a few glimpses of the new facility. It was designed from the ground-up combining the talents and expertise of college Principal Antony Greaves, UK studio design and building company, The Studio People, BIMM tutors and some of us here at Audient. 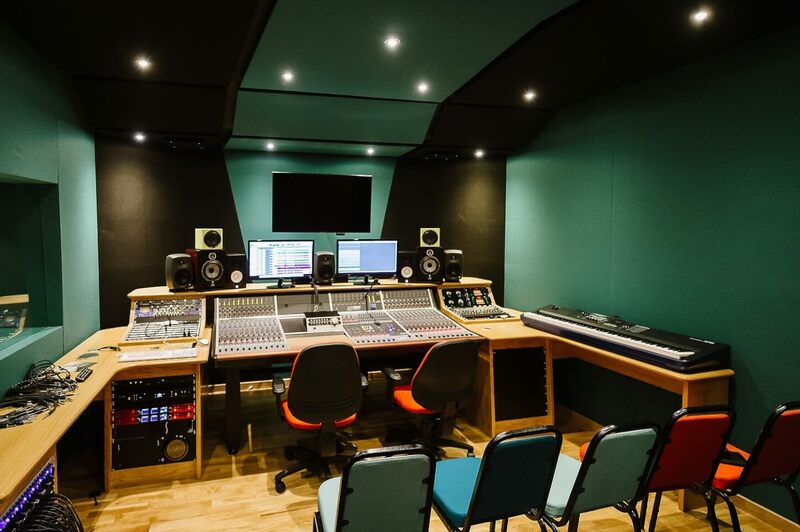 Now fully operational, the new, improved facilities provide BIMM Birmingham’s Music Production, Songwriting and Performance students with the opportunity to apply their skills in a professional-level recording environment. We have recieved a message from @midgeure1, one of the orignal writers of the song and one of the few who have heard our single!